The Summer Solstice takes place on June 20, 21 or 22 and summer officially begins. 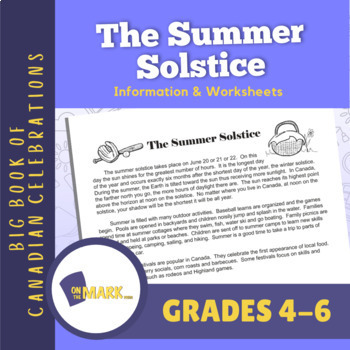 The information explains the Summer Solstice and the changes that denote summer and discusses the wide variety of activities that summer can provide. The follow-up develops expressive writing, the ability to locate information and to record sentence answers.